We love this unique gift idea from Japan! Beautifully designed and printed in Japan with elegant metallic accents, the kits are nicely packaged A4 size and make a diorama that is 7 1/2" W x 3 1/2" D x 4 7/8" H. Each kit has a playful secret and interesting details that make assembly fun. 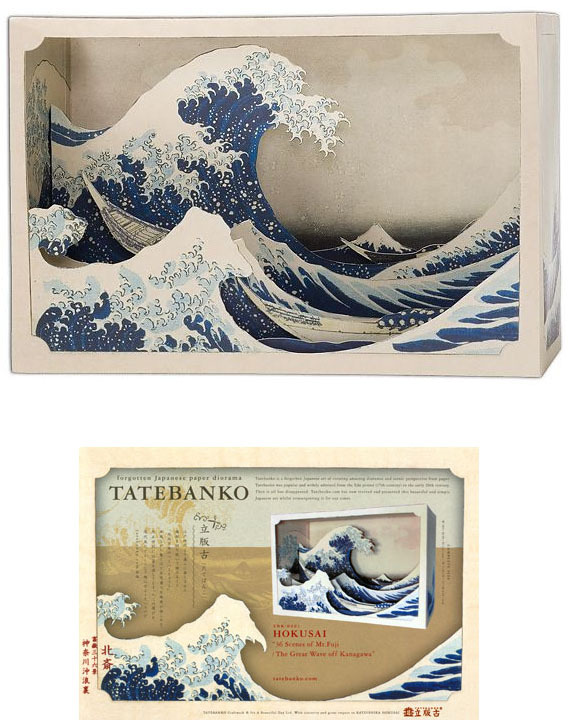 Tatebanko is the forgotten Japanese art of creating amazing dioramas and scenic perspectives from paper. Tatebanko was popular and widely admired from the 17th century (Edo period) to the early 20th century.